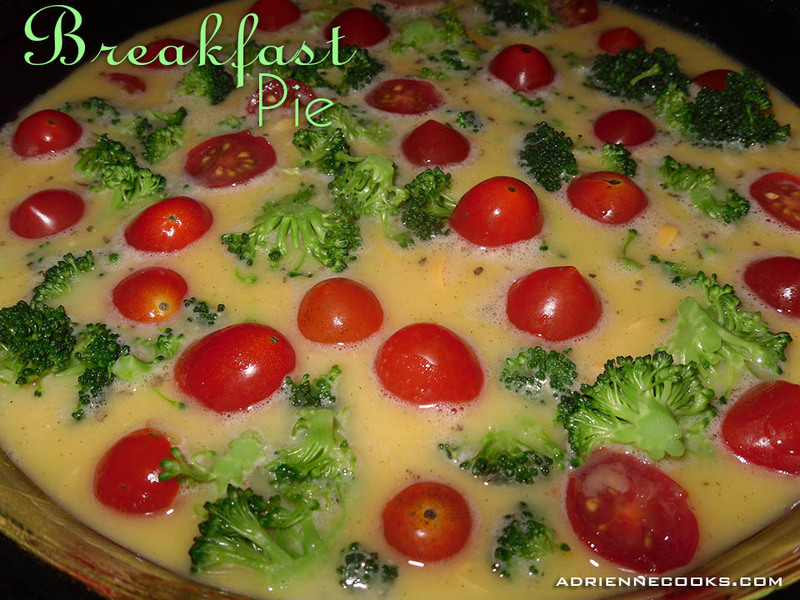 Quiche just sounds daunting and time consuming, doesn’t it? I have the solution! 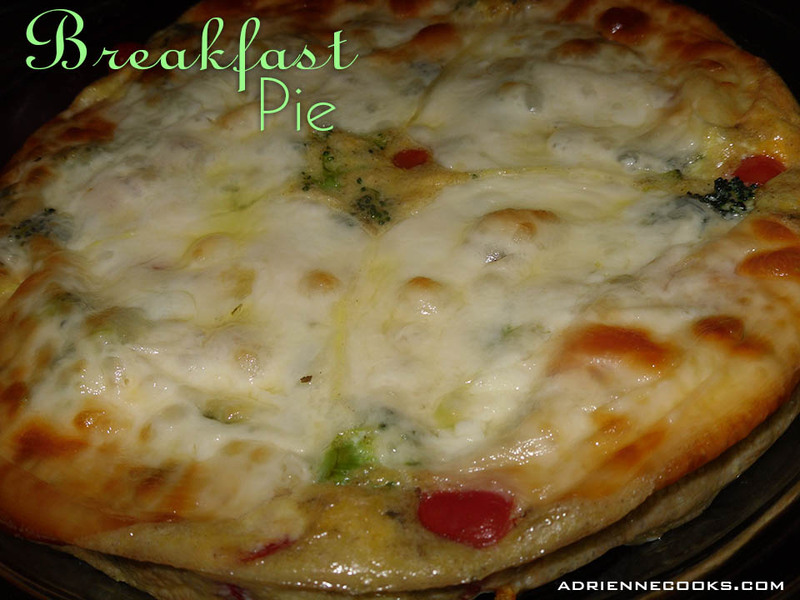 I make these weekly breakfast pies from eggs, cheese, garlic, butter, and whatever vegetables or meat I have laying around and they are always good. The only two constants are egg and cheese – otherwise it’s a refrigerator clean out free for all. Huge bonus, they are always good! If you have a pie plate you are all set. I have a nice Pyrex one from my grandmother that I use. Give it a spritz of non-stick olive oil spray and you are all set to fill-er-up! Preheat your oven to 350 degrees. Spray your pie plate with non-stick olive oil spray on the bottom and up the sides. Whisk your chosen ingredients together except the sliced cheese if using. I usually pick 1-2 veggies and 1 meat. Pour egg mixture into the pie plate and use the whisk to move larger bits around so they are evenly spaced. Cover with sliced cheese if using. Bake in the center of the over for 15-20 minutes until center looks set. 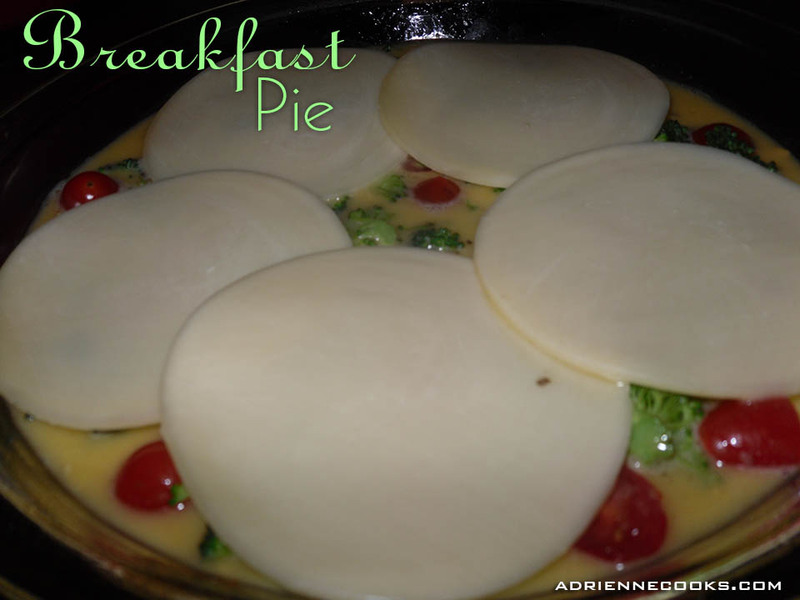 Cool 20 minutes before slicing in to 5 even pieces for 5 easy weekday breakfasts! I put them in zip top bags and heat and eat at work each morning. The importance of using cooking spray! See how it pulls away from the edges of the plate as it cools? This is just beautiful, and looks delicious! 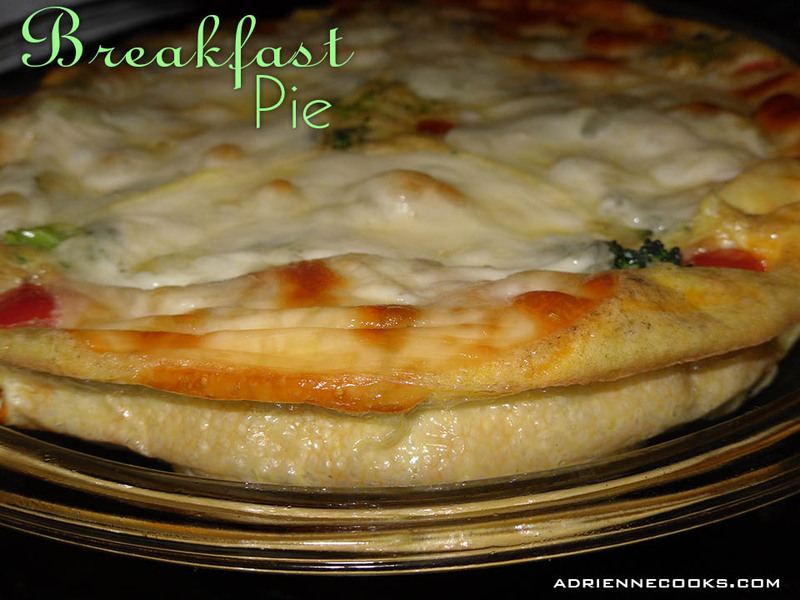 I’m going to have to make this tomorrow morning! It looks delicious! Perfect. I’ve been telling my patients to eat protein every morning. I love the idea of making several breakfasts at once.